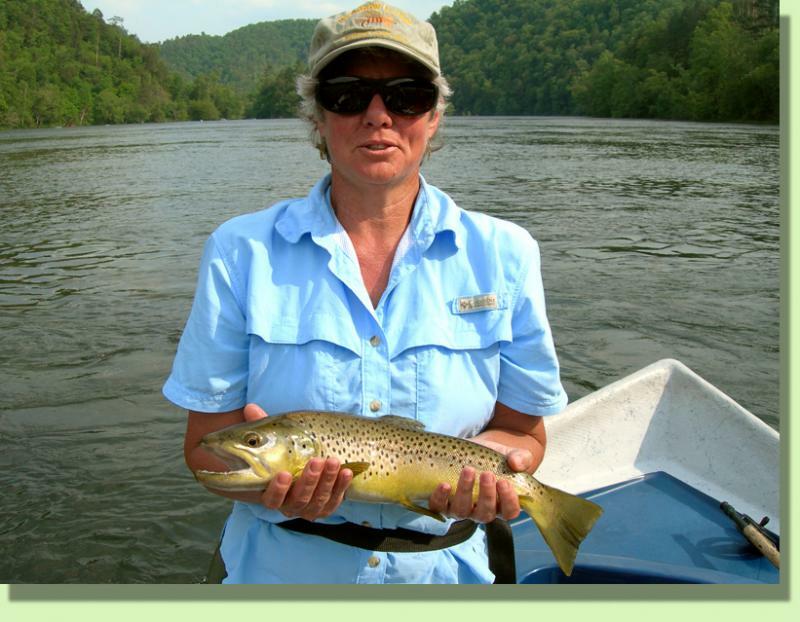 Our Hiwassee River Fly Fishing Guides are polite, knowlegable, and eager to please our clients. We've spent years guiding anglers down the swift whitewater of the Hiwassee River, Fly fishing for the rainbow and brown trout that thrive there. The Hiwassee River is located in the extreme southeast corner of Tennessee in the Cherokee National Forest and has been a long time favorite destination for fly anglers from across the country. The Hiwassee is famous for it's dry fly fishing opportunities that occur year round. It's also one of the most beautiful trout rivers in the south. The iconic upper river is comprised of many hard bedrock ledges and shoals, giving the river a rough and tumble appearance. The insect activity is one of the highlights of the Hiwassee. The river hosts a year round calandar beginning in the winter with black stoneflies, early brown stoneflies and the ever present blue wing olive. Springs warmer temperatures brings hendricksons and grannom caddis. The spotlight features on the Hiwassee begin in late May with Sulphurs and the the famous Isonychia. Tricos, Blue Winged Olives and October Caddis carry us through the fall. Dry fly fishing is truly possible any day of the year.